With all the female homeschooling bloggers sometimes dads don’t get as much recognition for the role they play. Homeschooling is hard, I am glad to have Papa’s support. 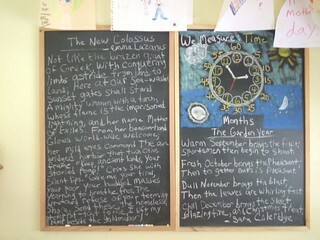 Language Arts: They girls copied the peanut butter fudge recipe into their cookbooks and copied the days of the week poem by Elsa Beskow from the chalkboard. 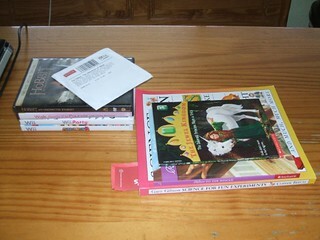 Sky finished the American Girl, Rebecca series and worked on coined words. Little Sis read Owl At Home and Grasshopper On The Road. We will be taking 2 weeks off, with the exception of the girls picking out our next read-aloud (always reading something we are), for me to get caught up with some reorganizing and cleaning. I wanted to hear Arnold Lobel once more before boxing up the books the girls have outgrown to make room for the new ones. Bye, bye Elephant and Piggie. I can’t wait to introduce you to my grandchildren. I mentioned always reading, Sky is reading her way through the Sailor Moon series. Little Sis I’m sure will pick up on her independent reading as well. 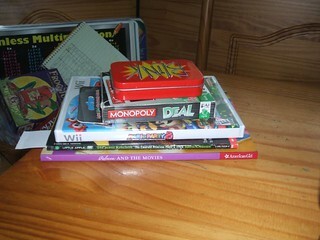 Mathematics: Blink solitaire, games and more review. This is pretty much how our summer will play out. Working on basic multiplication with Little Sis while Sky works more on long division and multiplication review. (She blinded me with) Science: We watched Bill Nye’s episodes on farming and plants and observed Friday the 13ths honey moon. Social Studies, American history: After finishing the Rebecca series we had yet another hours long conversation about striking, the union, and the women’s rights movement. We learned about Clara Lemlich and her leading the 20,000 people strike against the shirtwaist factories and watched the PBS Triangle Fire documentary. We also watched the Dear America, Dreams In The Golden Country episode again. It really brought the Rebecca series alive. 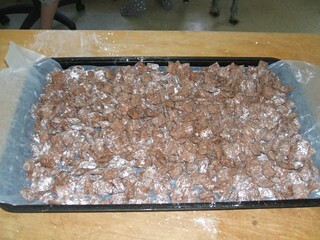 Home Economics: The girls decided to make Muddy Buddies again. While looking back over my blog it seems we eat lots and lots of sweets, which we do all have a sweet tooth which is why we always have them around. I did however want to mention the girls are working on the dessert portion of their cookbooks right now. As they grow so will their cookbooks and the entrees they bake. Little Sis finished her sewing project. Kettle Corn, which is my personal favorite. I don’t really have a “recipe” it’s just kind of go with the flow type of thing but it comes to about 1/2 TBSP coconut oil, to about 1 TBSP sugar per 1/4 cup of popcorn. Oh and a whole lot of shaking the pan making sure not to let the sugar burn, why I only do 1/4 cup of popcorn at a time. Add 1 kernel to the oil for your “tester”. When it pops add rest of corn to the pot and sprinkle with sugar (shake, shake, shake pan over medium high heat). Quickly remove popcorn from pan into bowl once popping slows down and salt. Sugar Coated Almonds. In a skillet mix 3/4 to 1 cup sugar with 1 TBSP cinnamon and 1/4 cup water. Add 3 cups almonds. 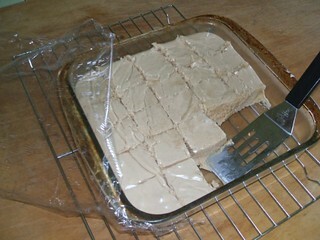 Continue stirring until sugar gets nice and bubbly then allow to cool on wax paper. Last but not least our favorite summer dinner. We purchase our year of chickens from the farm baking 2 at a time using the dark meat. I boil the backs for broth and make soup or shredded BBQ with the meat. I take the boneless skinless chicken breasts and freeze them in a marinade to grill in the summer for salad. I set it up salad bar style and add baked potatoes so everyone can eat however they like. The dressing is a Balsamic vinaigrette from the cookbook Feeding The Whole Family. As the veggies come out of the garden they get added in the rotation. From the garden: Our plants are doing well. I planted carrots in container pots filled with top soil and this year we will be planting spinach, radishes, and turnips late summer to have a “fall” harvest crop. I am also going to try chamomile and mint in containers for my tea. Caffeine free for over a year! It seems weather is running a bit behind schedule. May here in Indy is known to be rainy but this year June is kicking off to a wet start, not to mention the windows are still open and no air conditioner (yay). I for one am glad, Spring here up until these last few weeks has been dry. June our garden loves you! 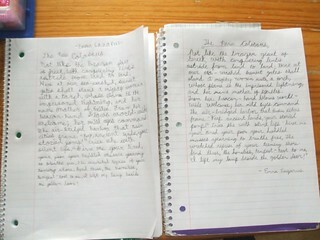 Language Arts: The girls copied the last 4 months of The Garden Year poem. No root or vocabulary words this week as they also copied The New Colossus poem by Emma Lazarus, thanks to Miss Sky reading book 5 of the American Girl Rebecca series. Book 5 starts with Rebecca’s brother’s Bar Mitzvah celebration, this started a 2 hour conversation on gender discrimination and women’s rights. Sky did work on clipped words and Little Sis learned about diphthong words as well as finish book 3 of the Jewel Kingdom series. After she finishes each one she says, “I think this one is my favorite.” :). 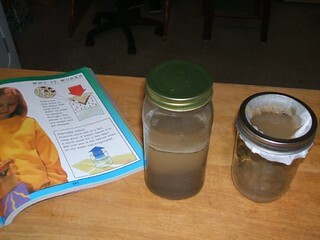 They also added the Muddy Buddy recipe to their cookbooks. 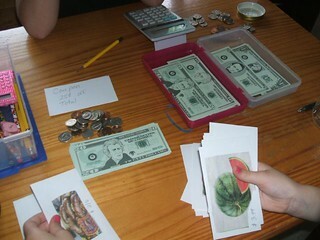 Mathematics: The girls played the Grocery Game. We cut food items out of a weekly circular, added prices, making sure to have taxable food items too, and glued them to index cards. The girls each took turns picking out their items while one was the cashier. Little Sis counted out the correct money and Miss Sky counted back correct change in her head using the method I showed her. We also watched Bill Nye’s episode on Time learning about the International Date Line, time zones, and speed of light. 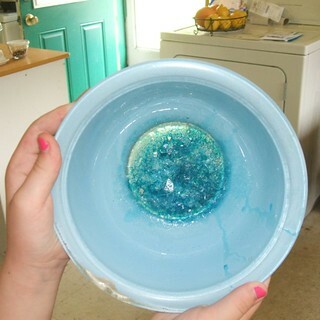 We covered the salt water mixture with plastic wrap, after testing its saltiness, and placed it directly in the sun while we watched Bill Nye’s The Sun episode. 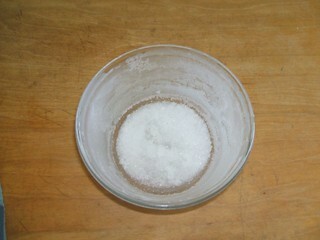 Then we went out and the girls tasted the mixture’s condensation and discovered it was not salty. 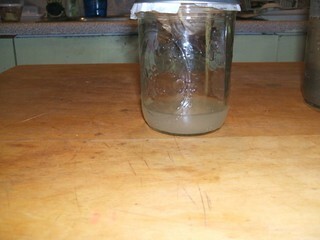 I asked why, because the water from the mixture is evaporating with no place to go. 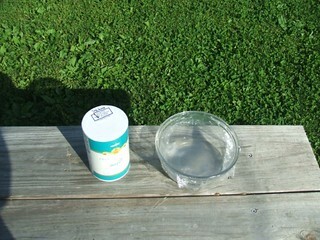 Then we took off the plastic wrap and let the sun do its work. We did the same thing with sugar and water. 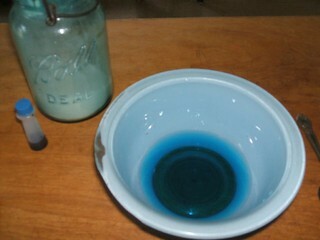 If I ever do this again, next time I will leave out the food coloring. as well as the fashions of 1914 thanks to my Vintage Fashion board on Pinterest. We also learned the history of the Statue Of Liberty. The Arts: Salvador Dali’s painting of Colossus of Rhodes. We watched Mary Pickford’s Rebecca of Sunnybrook Farm on YouTube and had a Hobbit marathon watching The Desolation of Smaug as a family. times two with a batch in the freezer, man this stuff doesn’t last long around here. P.E./ Health: Besides Walk Away The Pounds, we had a park day filled with play and trails. There are a few things I have observed this week. One, the weather here has been beautiful and the girls have been distracted. Who can blame them when I myself am distracted. So this means moving toward lighter weeks. 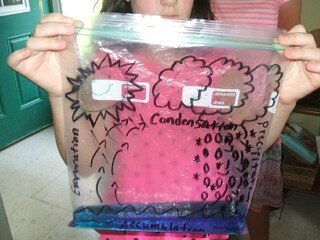 Two, sticking to reviewing math while doing more “hands on” science projects is working. Being able to work on math problems they are already familiar with frees up more time to talk about things they are not. Note to self, Hey this pace is working for ya so don’t try to cram everything in all at once! Now to actually remember this, well that is a different story. Language Arts: The girls copied the Rice Krispy recipe into their recipe book and copied part two of the Garden Year poem. Little Sis’s memorization of the months is coming along nicely. Her vocabulary word of the week was clutches, she worked on antonyms and synonyms, and started book 3 of the Jewel Kingdom. Miss Sky’s root word was medi ,she continued working on words adopted from other languages, and read book 4 of the American Girl Rebecca series. 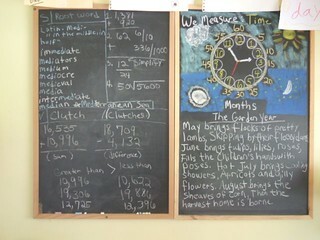 Mathematics: I mentioned review which has helped me get an idea of where Miss Sky needs a bit more time. I also started them playing Blink solitaire. This is actually a warm up to help get them focused on their work and has been helping. We also watched Bill Nye’s episode on probability. Science: Cosmos, I loved last night’s episode on climate change. It fit right is with our CO2 projects. Not trying to give away my age but I do remember Jimmy Carter’s presidency and his talks on solar energy from the 70s. I can’t believe we are having these same conversations in 2014! I wonder why America is not number one in science. We watched Bill Nye’s episodes on Chemical Reactions, Earth’s Seasons, and The Water Cycle. I put some water in a Ziploc bag and taped it to our window to help explain how Earth’s water supply is constantly being recycled. With the girls already understanding the 3 states of matter we talked about evaporation, condensation, precipitation, and accumulation. 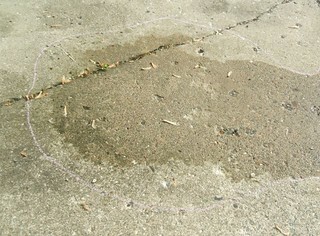 I poured a glass of water on our driveway outside and the girls measured the puddle with chalk. It took our puddle 20 minutes to evaporate back into the atmosphere. Social Studies, American History: Continuing with movie history we had fun learning about the actresses Mary Pickford, Theda Bara, and Helen Badgley. and Little Sis is learning how to sew while waiting for Sky to finish up her work. 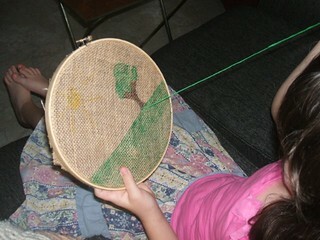 She drew the picture on burlap with markers. one tea bag per cup of water. Sit out in the sun 2-4 hours, refrigerate right away. 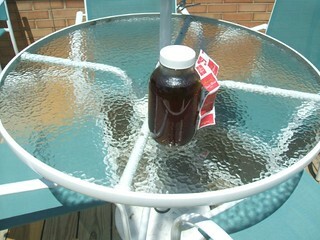 There is a chance of bacteria growth when making sun tea but I was raised on it and have never had any problems. 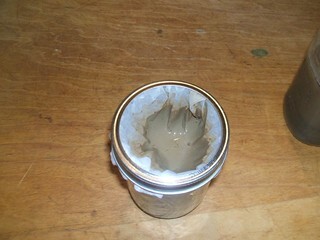 On real hot days don’t leave out longer than 2 hours and always make sure to refrigerate. From the garden: We added straw to our garden this year to help control weeds and to help keep moisture from evaporating as quickly. The best time to buy straw is in the fall and letting it sit until spring. 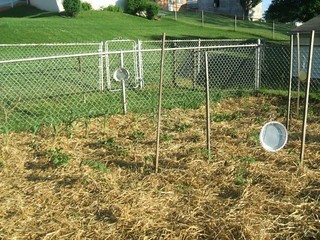 This helps it compost quicker and not spread as many seeds, from the straw, causing more weeds. Our garlic, onions, potatoes, tomatoes, sunflowers, and peppers are coming along nicely. We still need to plant broccoli and spinach.